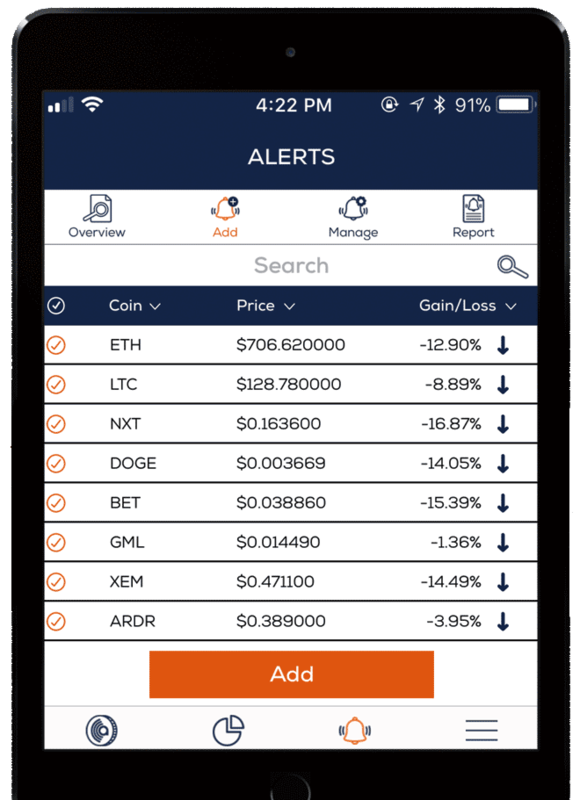 An alert is triggered when a specific price meets your preferred upper and lower limits. A push notification is sent to your mobile device. 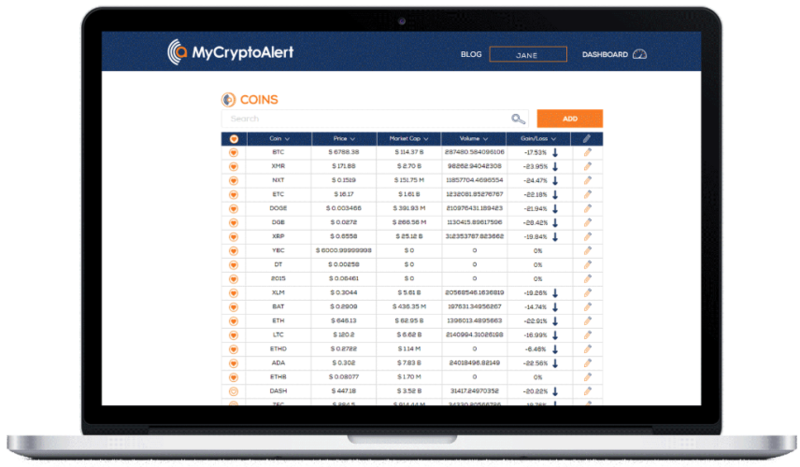 An alert is triggered when the price changes more than your set amount in either price or percentage per the coin. 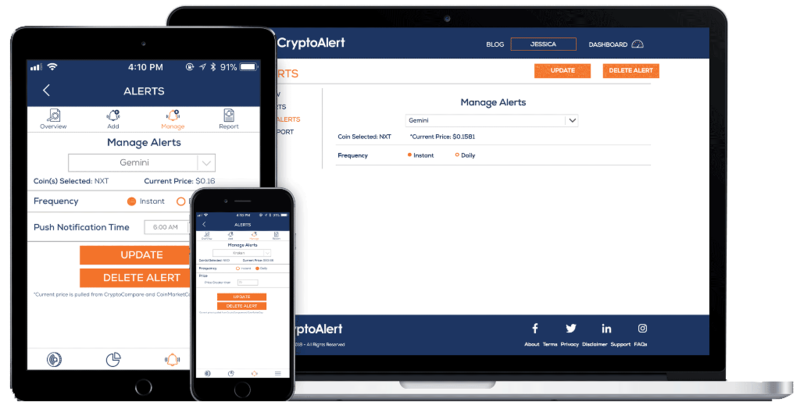 Our system allows you to set alert frequencies instantly or daily. Select from over 1500 coins. Never miss an opportunity to profit.